A fire is one of the worst accidents that can happen to a home – it not only destroys structural materials and household items in a quick and irreversible way, but also results in a number of supplementary hazards (possible water damage due to the fire- fighting efforts, harmful soot pollution, unhealthy smoke levels, etc.). Even if the fire was small and contained, its byproducts can continue to cause damage to the property and jeopardize the well-being of its inhabitants long after the flames have been extinguished. Stubborn smoke odor is one of the most common examples of the detrimental consequences of a fire – it can linger in the home for a long time, compromising the indoor air quality and posing health hazards to the occupants of the building. So, in the unfortunate event that smoke affects your home (whether from a house fire or because of a nearby wildfire), you need to take every possible measure to get rid of the smoke smell quickly and effectively. Getting rid of smoke smell is quite a challenge. When fire smoke infiltrates the home, the tiny smoke particles stick to all household surfaces and get embedded into all kinds of porous materials – carpeting, furniture, fabrics, books and even paint. 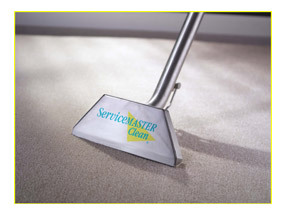 Removing them requires a lot of effort and, more often than not, specialized cleaning equipment. Types of burned materials – When burned, different materials produce different odors. Some are easier to remove, while others are extremely difficult to get rid of (such as the smell from burning synthetic or plastic materials, for example). So, what you need to do when dealing with the aftermath of a fire is to try all proven DIY smoke odor removal methods and see if the results are satisfactory. If not (or if you don’t have the time and the energy to do the job yourself), your only viable option is to call professional smoke odor removal services. 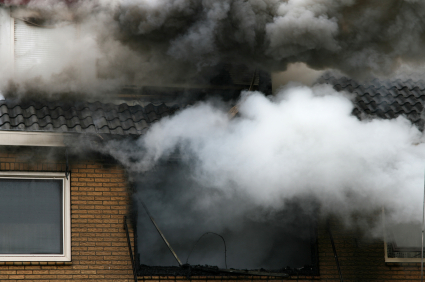 Here is what you can do to get smoke smell out of your house after a fire. Needless to say, you need to wash all clothes, towels, and linens that have been exposed to smoke as well. Make sure you store your clean fabric items outside of the home until it is completely free of smoke odor (otherwise they may soak up the smell again). Make sure you wash all window screens as well. Place them in a tub or washbasin and use dish soap or shampoo to clean the mesh. Rinse the screens thoroughly with cool water and let them dry in fresh air. If you have used an exhaust fan to air out your home, wash the filter in the same way. Wipe walls and ceilings, doors and doorframes, baseboards, cabinets (both inside and out), shelves, furniture pieces, and any other surfaces where smoke particles might have settled. 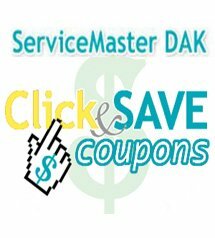 Don’t forget to clean light fixtures and light switches as well. Good to know: When it comes to removing smoke odor from furniture, you may need to use specialized cleaning products in order to achieve success. Make sure you purchase an appropriate cleaner and follow the usage directions strictly. If possible, take the furniture pieces outside on a sunny windy day to dry after the cleaning (the fresh air will help completely eliminate any persistent smells). Baking soda has proven to yield satisfactory results – just sprinkle some on the upholstery and/or carpet, let it stay for several hours (or even a whole day), so that the soda can absorb the smoke smell, and vacuum the surfaces. Make sure you use a vacuum machine that contains a HEPA filter to prevent the smoke particles from blowing back in the room. Good to remember: If any of your household items are covered in soot, you should not attempt to clean them yourself. It’s strongly recommended to trust them to a professional in order to prevent further damage. If it is the paint that retains the smoke odor, you’ll have to repaint the walls in order to remove the bad smell from your house after a fire. Experienced professionals have the expertise and advanced equipment (such as nano filters, air scrubbers, ozone generators, hydroxyl technology, etc.) required to completely remove smoke odor after a fire. 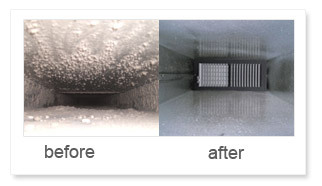 They will use safe and efficient odor removal techniques and appropriate cleaning products to achieve the best possible results. Your home will smell nice and fresh once again and you’ll be finally able to forget that the fire ever happened.